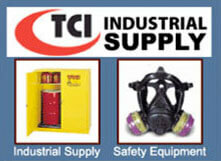 TCI INDUSTRIAL SUPPLY of Ronkonkoma, New York, is a valuable vendor of safety equipment and service provider to a diverse group of industries. We have more than 20 years of experience assisting with all of your standard and special requirements, including industrial supplies and material handling services. TCI's customer service team is led by expertly trained sales engineers who happily assist with all of your safety and industrial requirements from sales through support. We back all products we sell with a 100% customer guarantee for your added satisfaction. TCI Industrial Supply, Ltd. is proud to be considered a valuable vendor to a diverse group of customers in industries such as aerospace, automotive, pharmaceutical, petroleum, medical, and mechanical contracting. We also provide service to educational and scientific institutions, military and other government bodies. 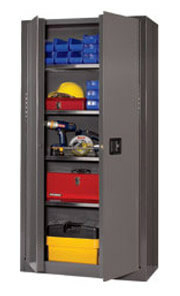 We are DPA Safety members (Distributor Partners of America). Distributor Partners of America is a member-driven buying and marketing organization made up of independent distributors in the Safety Equipment and Janitorial industries. Through our combined buying power we are able to bring you the best in class brands along with competitive pricing. Can't find what you're looking for? We represent hundreds of suppliers and not every product is found on this site. 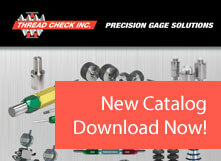 We welcome the opportunity to quote on your special request and find the exact product you need. Call us at 800-767-7633 for assistance.